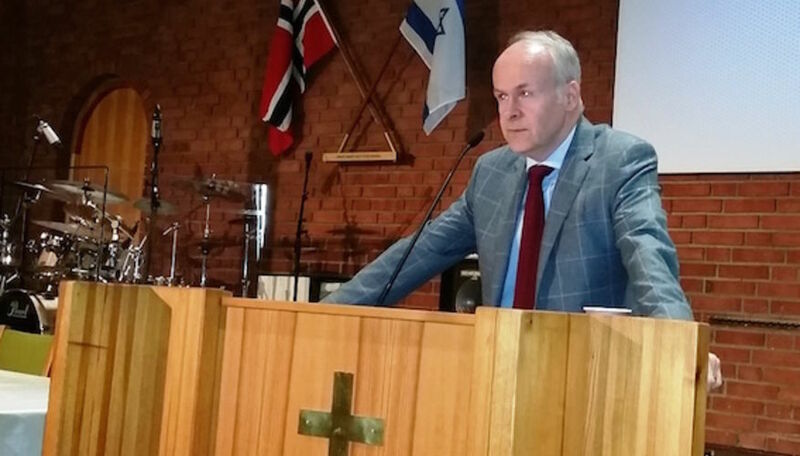 (European Coalition for Israel reports from Oslo) - In an effort to reach out to European church leaders with the message of Israel, ECI Founding Director Tomas Sandell was one of the keynote speakers at the 3rd Annual Apostolic Summit in Oslo on the 29th of March 2016. The convenor of this pan-European network of church leaders, Jan-Aage Torp, has made a clear commitment to stand with Israel at a time when many church leaders have chosen either to remain silent or have turned their back against Israel. ECI’s message was well received as the leaders affirmed the need to stand with Israel and the Jewish people in a tangible way whilst the future of European Jewry is in question and the state of Israel is being demonised in the international arena. “The question is not what we would have done in the 1930s when the Jews were being hunted down, but rather what will we do today to prevent history from repeating itself,” Sandell told the conference delegates. Many leaders responded to the message and expressed their interest in getting involved and finding out more about ECI. A ministry leader of Iranian descent publically asked for forgiveness for the deadly threats that his government is posing against Israel. “Iranian people love Israel”, he said. “My nation is the nation of Daniel, Esther and Mordechai. Israel and Persia (Iran) belong together”. He went on to remind the audience of the fact that it was the European nations that supported Khomeini and the Iranian revolution in 1979, which started the process that has led to today’s radicalisation and Islamic terrorism. The conference proved the importance of Christian leaders standing together in the public sphere to take responsibility for the future of our continent and our world. The delegates were in agreement that Europe can only receive blessing if we choose to stand with Israel.